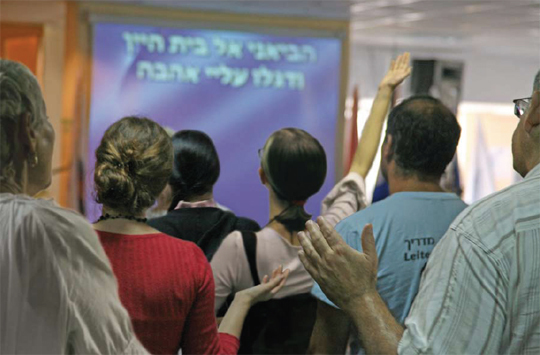 Our congregation is located in downtown Tel Aviv. We meet each Saturday at 11:00a.m. 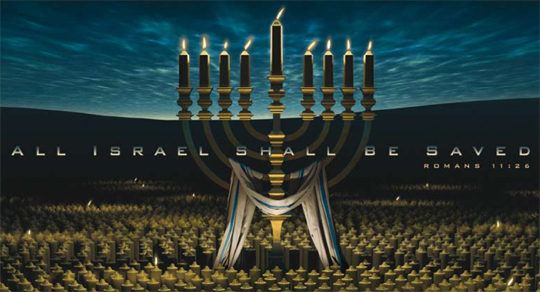 to celebrate our relationship with the King of the Jews, Yeshua the Messiah. We have some 250 members, young and old, Ashkenazi (Jews originally from Europe), Sephardic (Jews originally from Arab countries), Sabras (native-born Israelis) and immigrants -Russian, South American, European, etc. Our young adults group is the largest age group in the congregation. We are spending much time in raising up a new generation of spiritual leaders. believing community throughout this nation. Our own young people are writing songs and we have four worship leaders to lead our congregation into the presence of God. We are underwriting (90%) the musical training of 15 of our children and teens - with the goal that they will soon join our youth worship team! A young talented musician is supervising this area of congregational ministry, while a highly trained couple originally from Russia leads the department. children who almost never have known discipline or boundaries - not at home and not in the Israeli public school system. 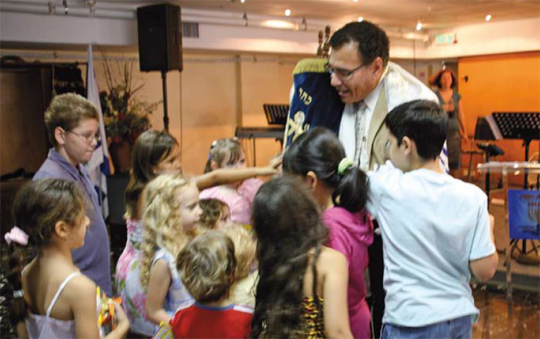 The director of our children’s ministry continues to develop programs and Hebrew materials suitable to our culture for the growing number of kids joining our congregation. 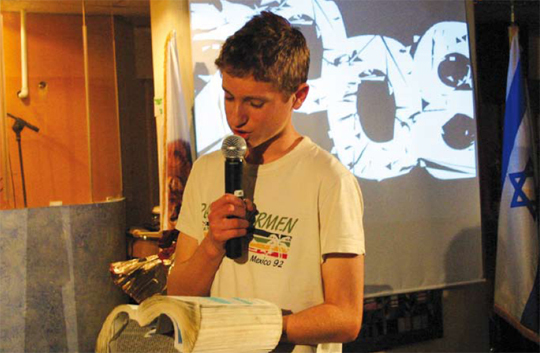 It is not worthwhile for teenagers in Israel to serve the Lord half-heartedly. Their peers in their neighborhoods and at school, if not their teachers, often mock them, and it is only the serious who make the decision to serve the Lord openly. But those who do are jewels - and they are impacting their surroundings by witnessing and by bringing their friends to the congregation (with permission from parents if they are underage). Our teens and soldiers are active in their service for the Lord, and regularly meet with the youth of other congregations. Our mission is to disciple these teenagers so that their faith runs both deep and wide. 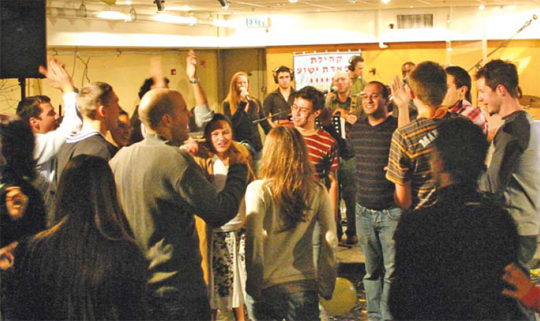 The members of Tiferet Yeshua create community naturally. This is where our friends, our advocates, our supporters and our encouragers are. Yes, we live in this world, but often in Israel it is not sympathetic to our faith - and so is not a place of rest. Furthermore, when non-believers visit our congregation, they are usually most attracted to the warmth and love they find here. Warmth that many of them do not experience in their own world. Together we celebrate the Biblical holidays, national holidays, weddings, bar mitzvahs, and anything else we can find to celebrate! These events are really the best times to bring non-believers for a first-time visit. Both Maoz and Congregation Tiferet Yeshua are using every means we have to let the people of Israel know that their longawaited Messiah has already come - and is coming back when our Jewish people say, “Blessed is He that comes in the Name of the Lord!” Our congregants are witnessing on the streets. Today, media is a powerful tool. We have produced an audio New Testament in Hebrew with an original musical score and three worship CDs with Hebrew music and we are working on another one. We are producing another 50,000 copies of “Betrayed”, by Stan Telchin - one of the finest books in existence to give to a nonbeliever. We are also planning to produce an audio book of “Betrayed” as yet another tool for evangelism. Six years ago we began a fund, istandwithisrael.com with the goal of providing financial aid to the Messianic Jews of Israel. Many millions of dollars are sent each year by Christians to support secular projects, but little was being channeled towards the believers of the land. In these six years Maoz partners have enabled us to distribute approximately $2,500,000 to Israel’s Jewish believers and also Christian Arabs. 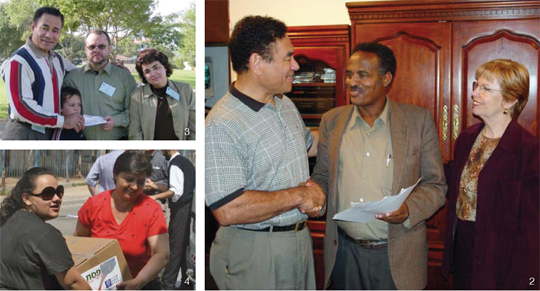 Through istandwithisrael.com, we’ve helped immigrants study Hebrew, given job training, erased debt, started new businesses, and given down payments to help purchase homes. All to help raise the standard of living among Messianic Jews and assist them in blessing their communities. 4. Members of Congregation Tiferet Yeshua deliver food packages for Passover to citizens under fire from Gazan terrorist rockets. We have published a catalog of over 50 books and 37 booklets we have translated, published and distributed in 25 congregations and Bible bookstores throughout Israel. 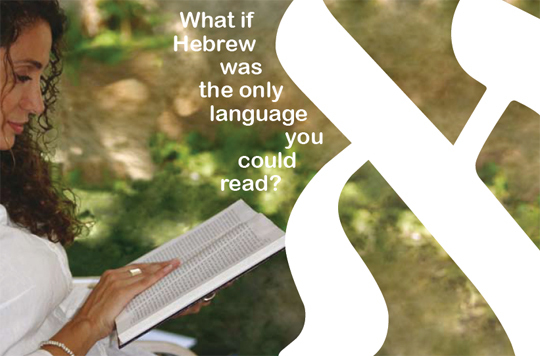 Books in Hebrew are still one of the greatest needs for discipleship among nativeborn Israelis who are finding faith in Yeshua the Messiah in increasing numbers. If an Israeli does not read another language - he or she has minimum opportunities to partake of the wisdom God has given to His world-wide Body. We are determined to change that. We are working on an additional eight books at the present. Maoz partners enable us and the congregation to participate in numerous outreaches and gatherings of the Body of Messiah, Since Yeshua prayed, “That they all may be one… that the world may believe that You sent me…” unity demonstrates God’s love and power in a much greater way than if each congregation and organization is on its own. 6. 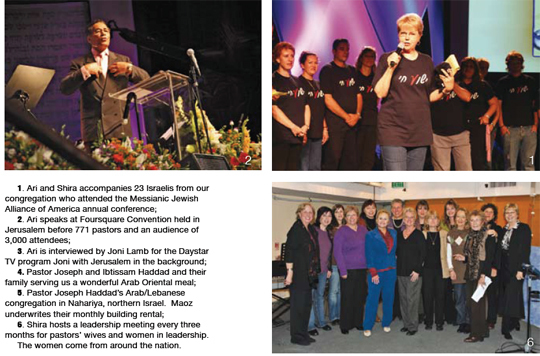 Shira hosts a leadership meeting every three months for pastors’ wives and women in leadership. The women come from around the nation. 3. 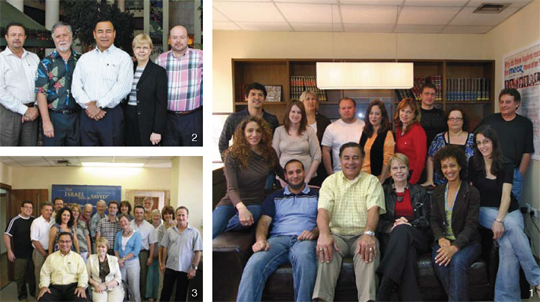 The Maoz Israel Ministry Boards from the U.K., Ireland, Canada, Germany and Brazil. We believe the Christians and Messianic Jews around the world need to have access to news concerning events in Israel, not distorted by the world’s secular media, but from a Messianic, biblical perspective. 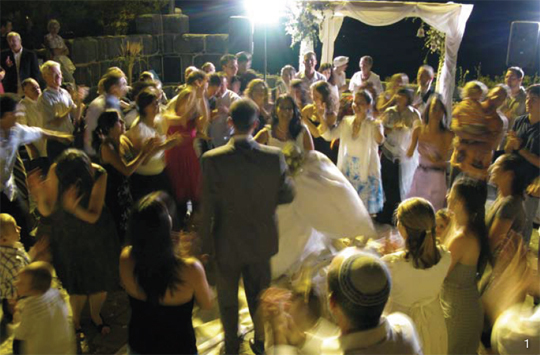 We also provide you with reports on the ministry outreaches of Maoz and Congregation Tiferet Yeshua. 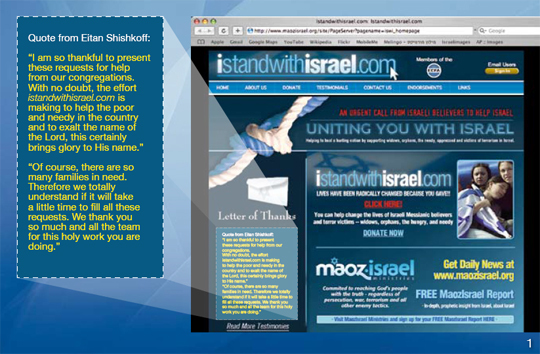 We invite you to team with Maoz as your partner and channel to help bring salvation to Israel. 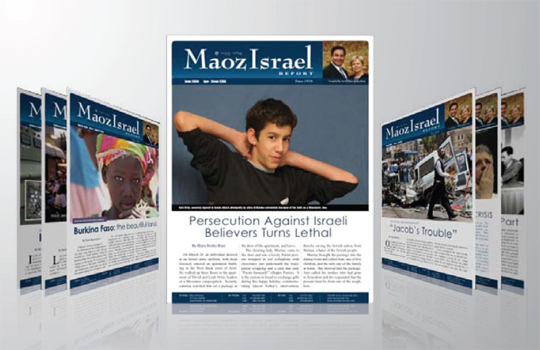 At the beginning of this New Year, we are full of thanksgiving as we send you this special Maoz Israel Report. It is our annual report to show you what your gifts have enabled Maoz to do during this last year - through the many outreaches of Maoz in Israel and Congregation Tiferet Yeshua in Tel Aviv. Every single area of outreach is producing a harvest: humanitarian aid to believers, publishing books, producing CDs, DVDs for evangelism and reaching out on the internet to Israeli youth. Ministering to children, teens, soldiers, young adults, families and the elderly. Teaching commitment, service, love of God and of our fellowman to our congregational members. Bringing lost Israelis into salvation, and discipling them where they too can produce their own harvest of men and women, boys and girls. As the armies of the enemies of Israel surround her, ours is a race against time. The Israeli people see destruction coming - from Iran, from Hizbollah, from Hamas, from Syria, from al-Qaida. 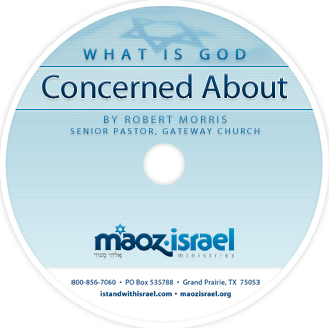 Israel is asking, “Where is God? From where does our help come?” We have the answer! The ONLY answer! During these uncertain economic times, we can be assured that He will equip us with the tools, the finances, the wisdom and strategy if we will unite together to simply do what He has told us to do - preach the Gospel to all the world and make disciples of every nation. Bring the Gospel “to the Jew first,” and also to the Greek. Every gift you give enables us to extend our outreach and effectiveness in reaching the Israeli people for God. 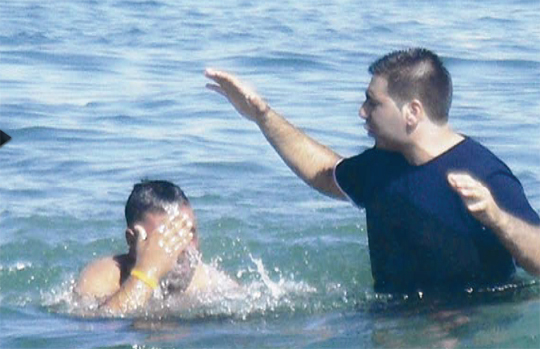 This then is our partnership with you - our joint effort to reach God’s chosen people. P.S. This month, as you set your priorities for the coming year, we wish to share with you a fabulous message from Robert Morris, author of “The Blessed Life”, pastor of Gateway Church in Southlake, Texas, and a partner of our ministry. He shares the key to a blessed life, a blessed ministry, and a blessed family...yours today, with your gift of $25 or more...request the CD “What is God Concerned About” today!